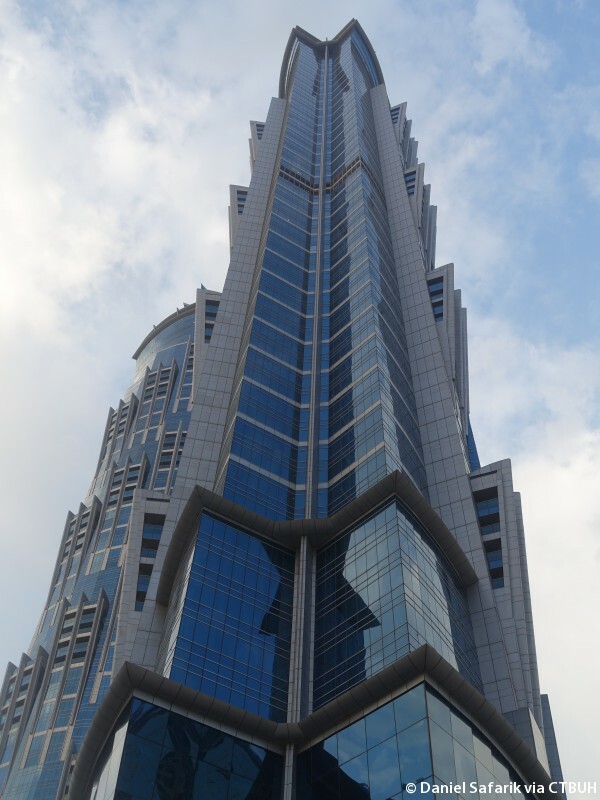 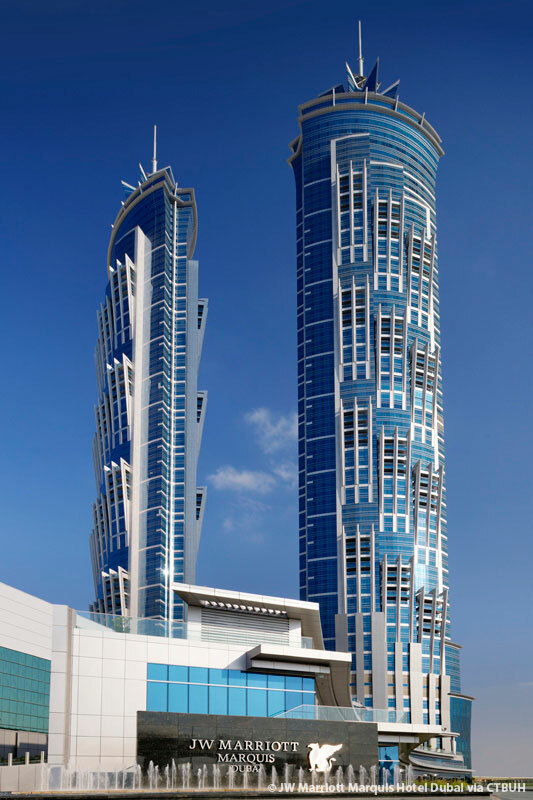 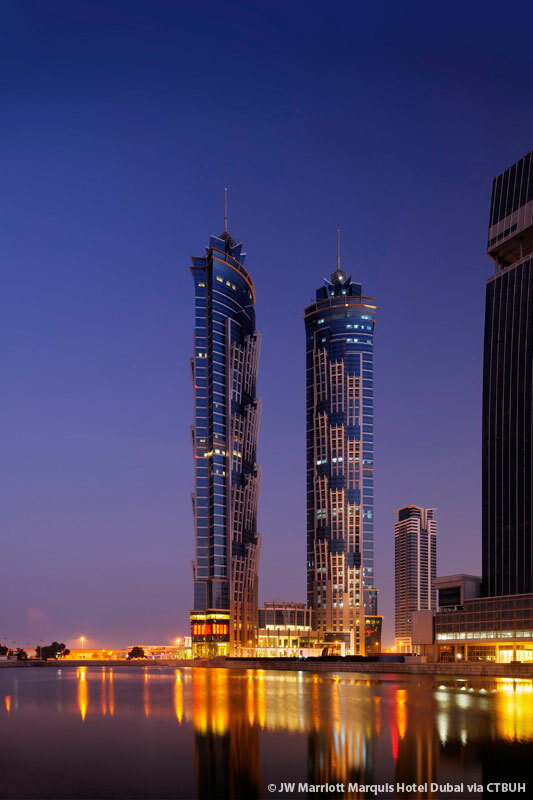 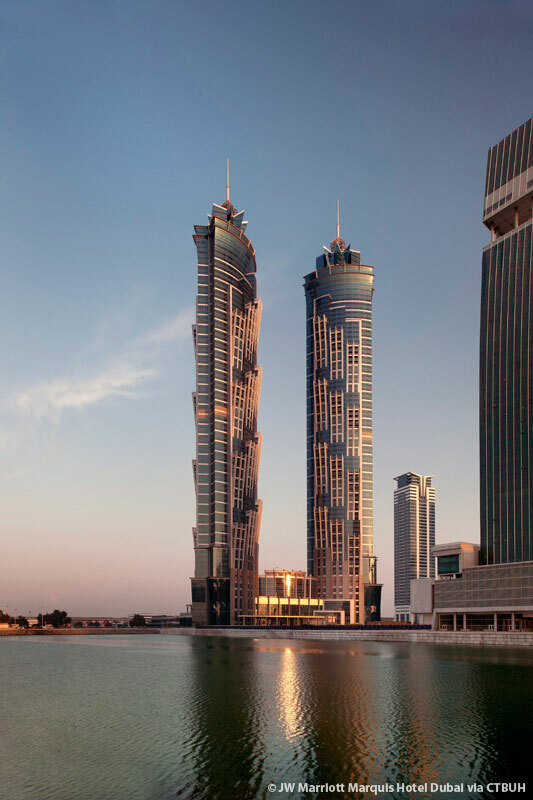 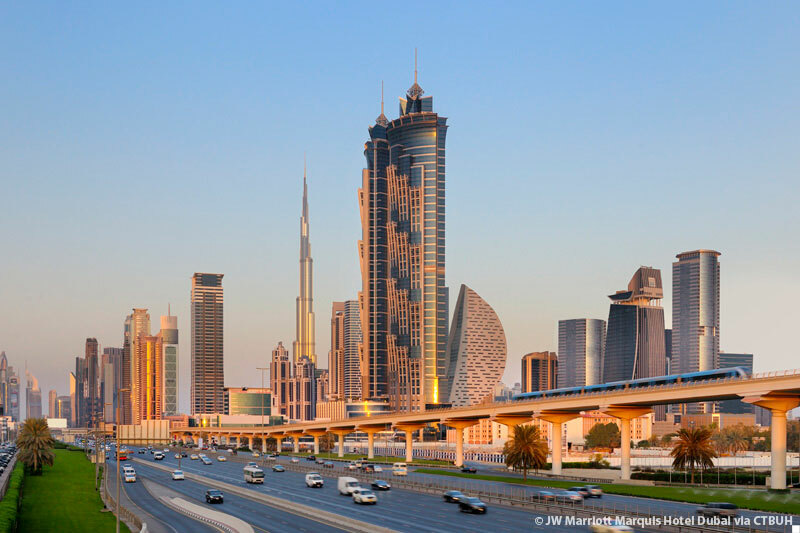 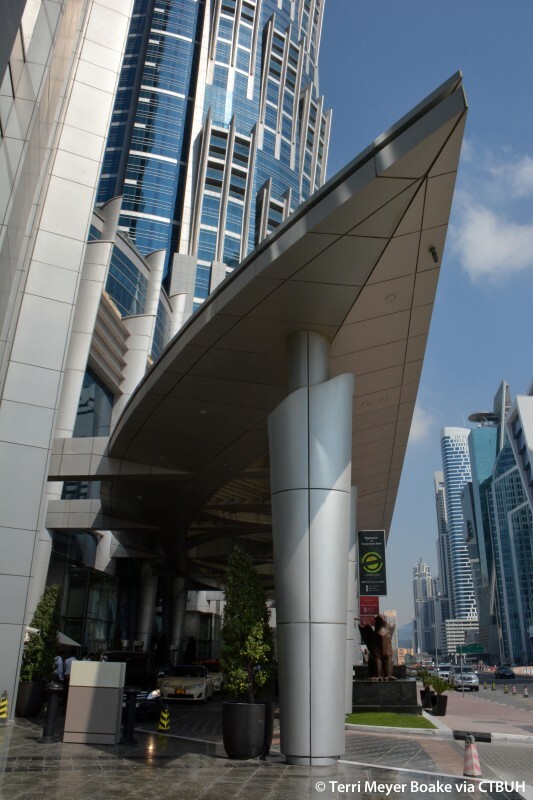 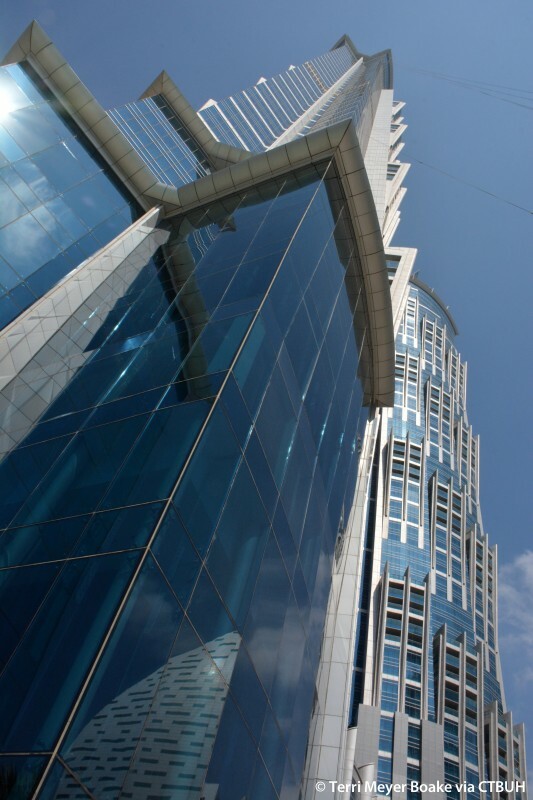 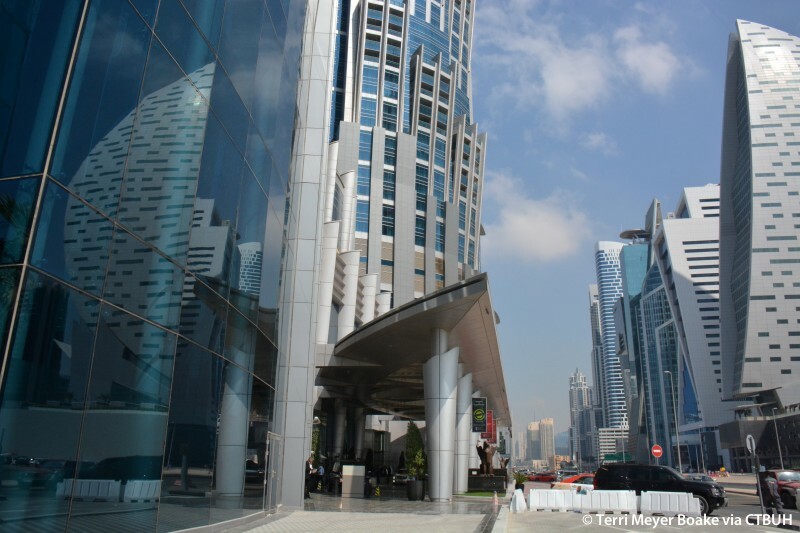 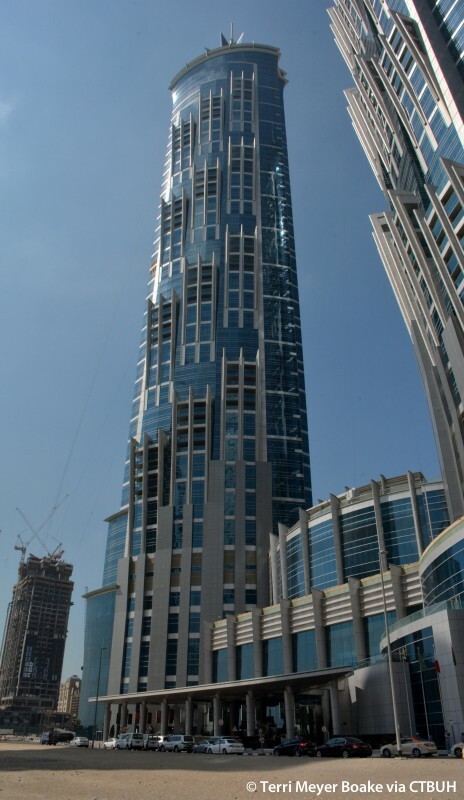 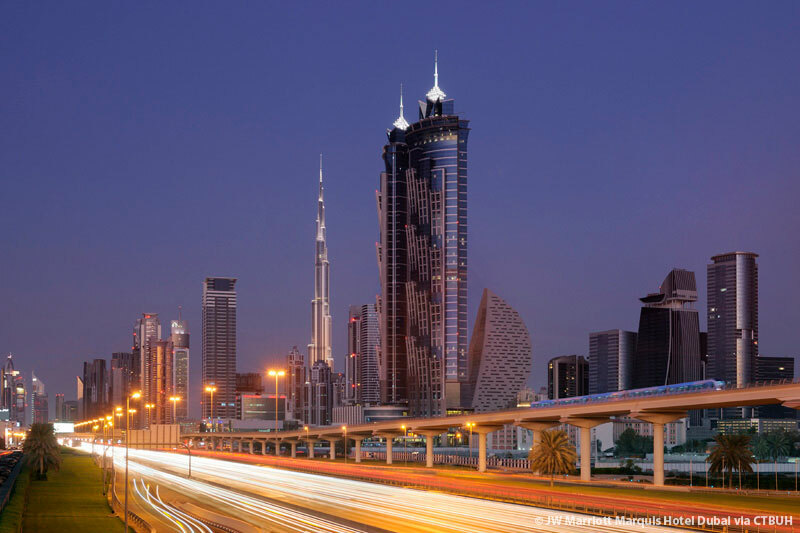 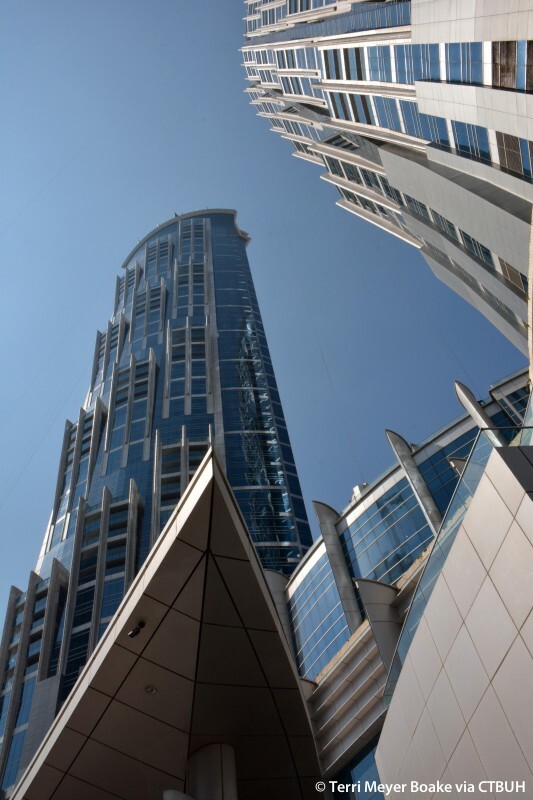 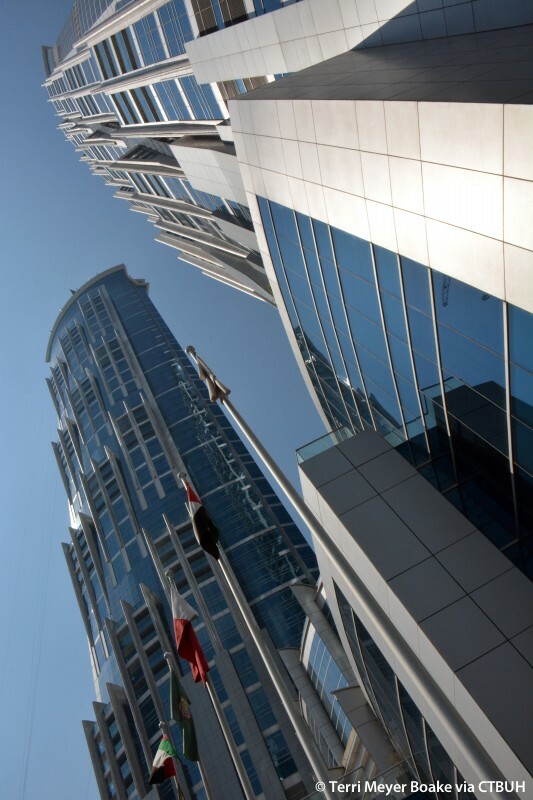 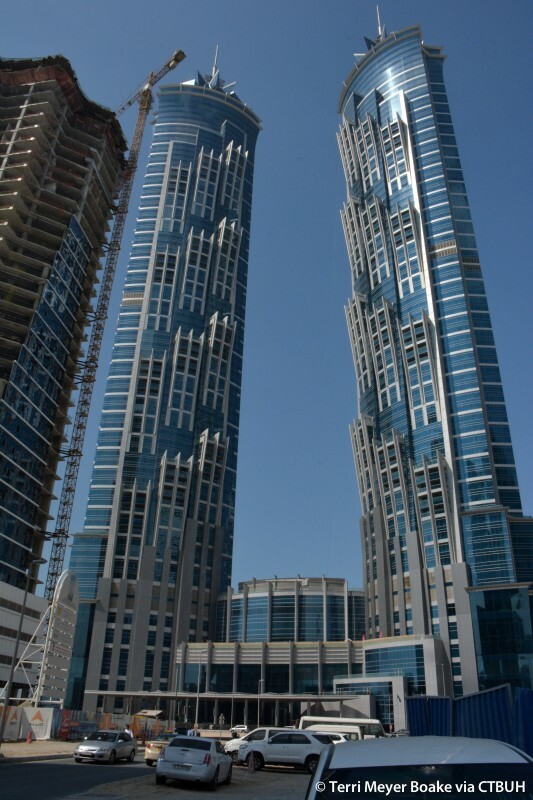 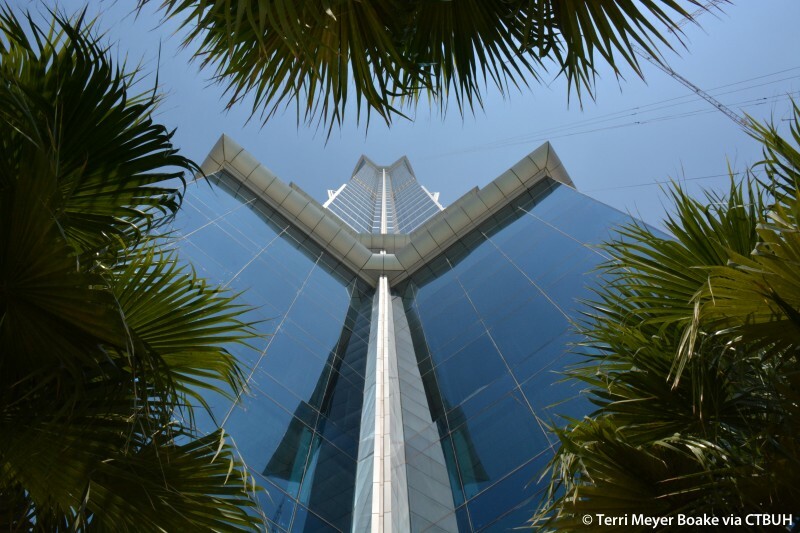 The Emirates Park Towers represent a twin-tower hotel complex sitting on an “L”-shaped plot in Dubai between the Sheikh Zayed Road to the west and Business Bay to the east. 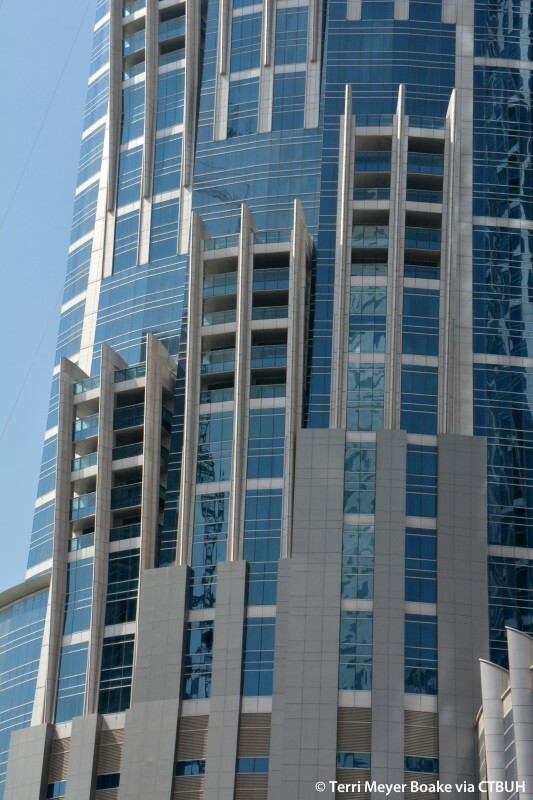 This plot will adjoin a future extension of the Dubai Creek, with a waterside promenade on the south side. 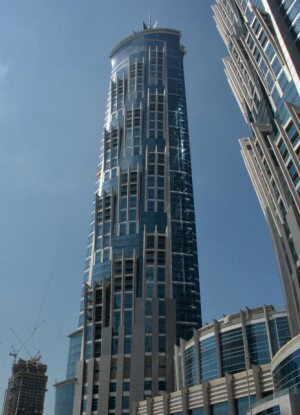 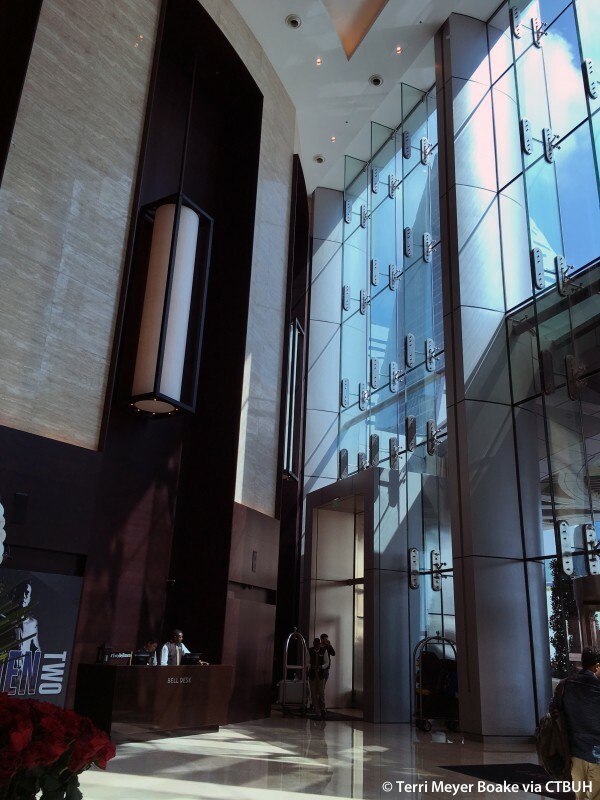 Tower 1 was completed in 2012, while Tower 2 completed in 2013, and was the tallest worldwide skyscraper completion of that year.